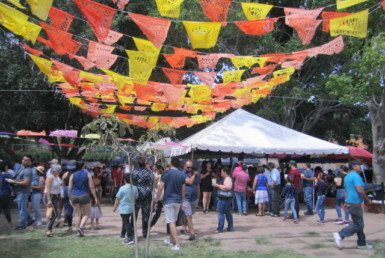 The sixth annual Sangre Viva Cultural Festival kicked off on Friday evening, March 29th and ran through Sunday, March 31st. 2019. 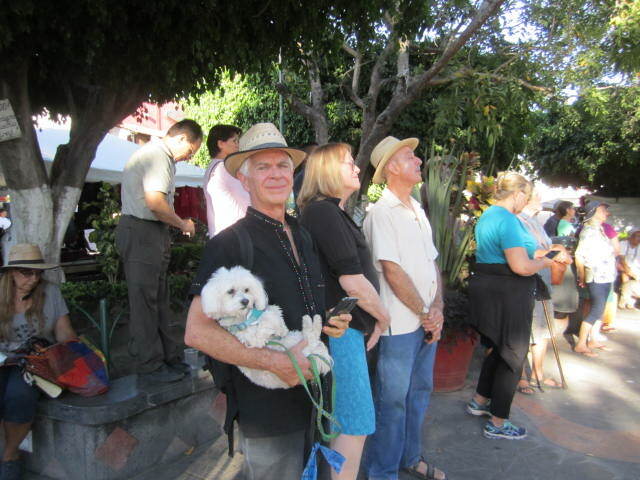 It was held at the Ajijic Plaza, inside the Ajijic Cultural Center which is also in the Plaza, and at the Ajijic malecon and nearby the malecon. Sangre Viva, according to the online translator, means Blood live. 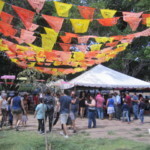 One of the online articles about it interprets Sangre Viva as meaning Pure Blood. 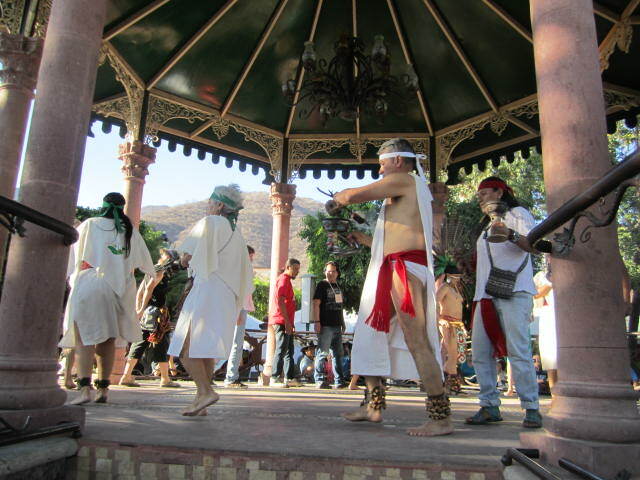 This festival is about the PreHispanic Cultures in Mexico, the pure blood. 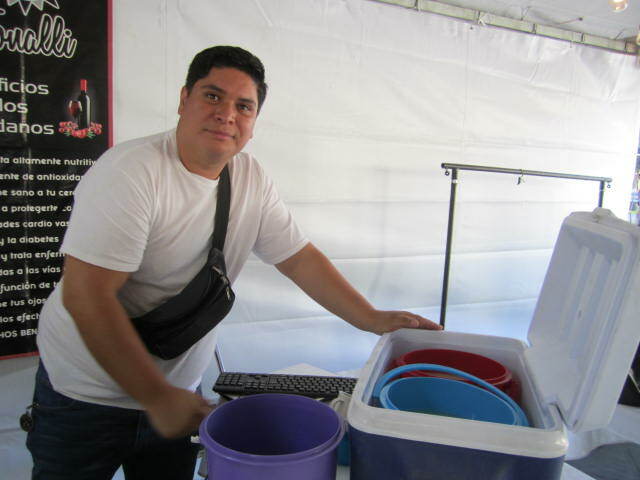 The festival was started six years ago by Carlos A. Paz Rubio and the director of the cultural center, Alberto Munoz. They have been in charge every since creating the event. Both are devoted to keeping the indigenous cultures alive as the modern world is overtaking them and they are losing their unique qualities. 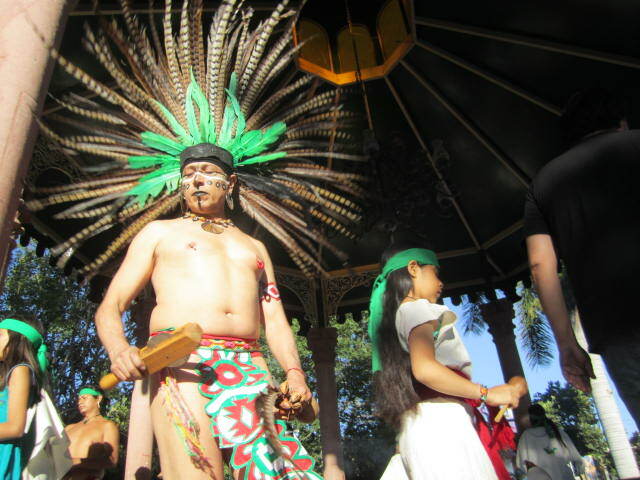 There are over a hundred different indigenous cultures in Mexico. 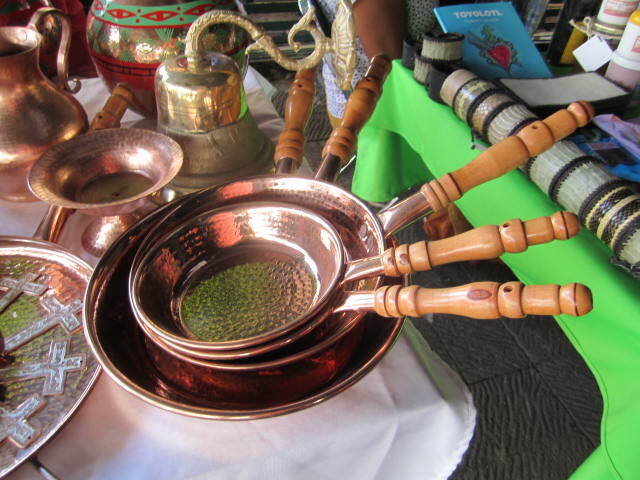 Each has it’s own language, dress and customs. And there are a hundred more that only speak partial languages. 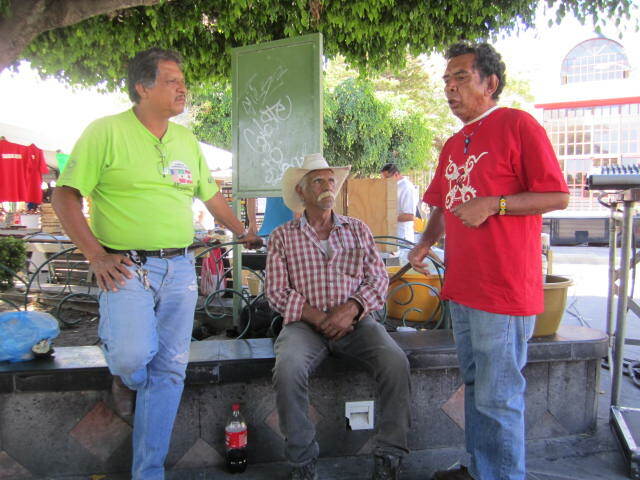 Ninety percent of the Mexicans in Mexico are from indigenous cultures and most of the people selling goods in the streets live in their own cultures outside of the cities. 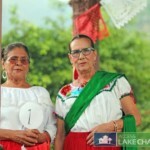 They speak three languages: their own, Spanish and English. So, the next time you buy something from a street seller, think about all that person had to go through in order to provide the craft item. 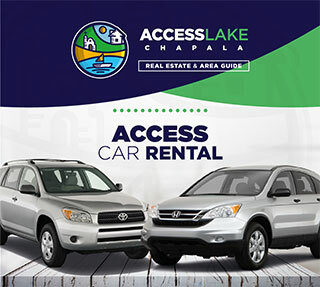 He or she had to learn English, make the craft, travel to town and sometimes that is a long ways, and negotiate with you for every peso of his/her asking price. Be generous if you can, every peso lost in your negotiation with that person means less food. Many times this is a group effort. People in the village make the crafts and just a few men and or women go to the cities to sell the crafts. So the loss in negotiating with buyers is a loss for the entire village. These photos were taken at the opening ceremony. In the first photo a woman is being smudged. 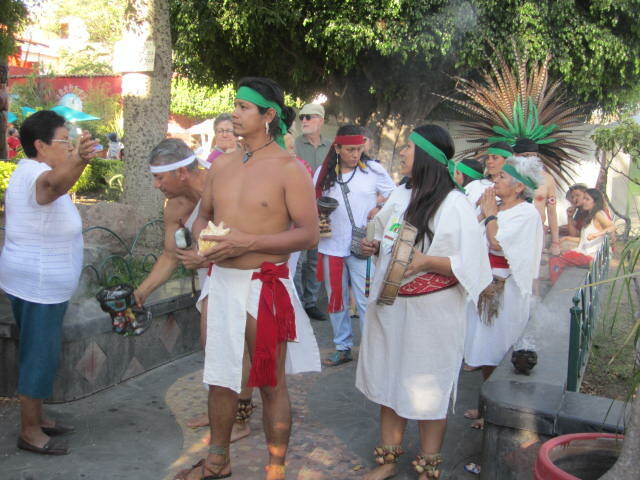 It is a cleansing ceremony and everyone was invited to be cleansed by smoke being passed up and down a person’s body and arms. The second photo was taken when the dancers were praying to the four corners. 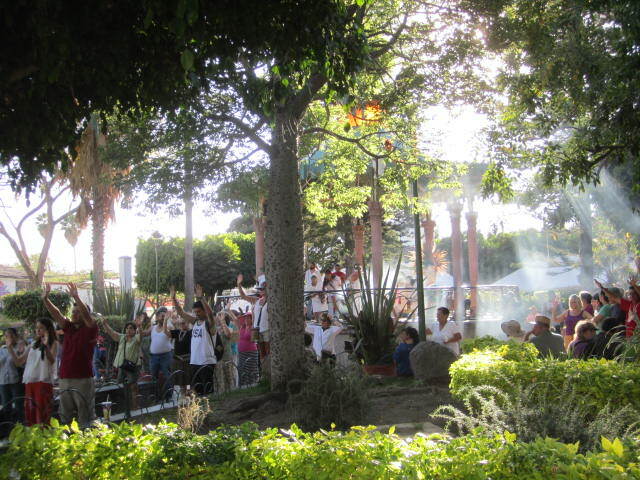 Even people watching participated by raising their arms towards the four corners. 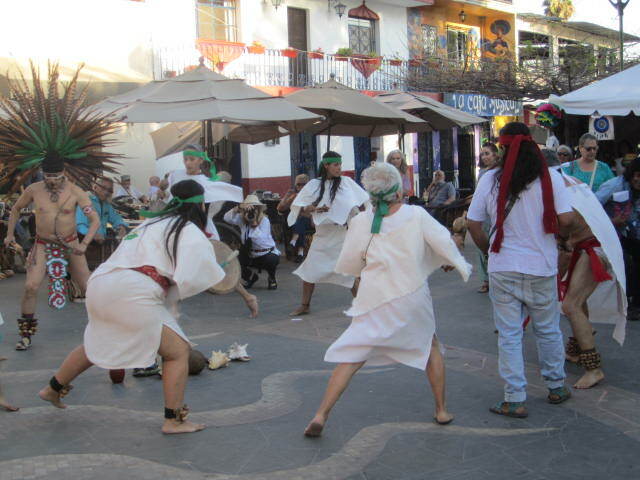 After the prayer to the four corners, the dancers walked to center of the plaza and danced. I liked seeing both elderly and very young dancers participating in this ceremony and dance. Check out the man in the photo directly above as he flexes his muscles and stamps his feet that have leather and seed ankle instruments. 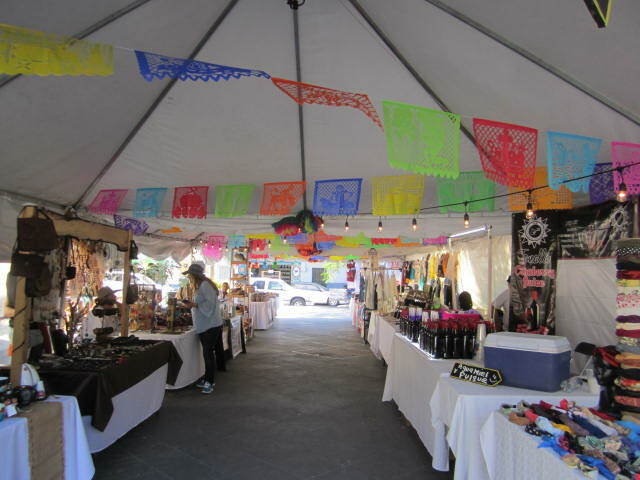 Before the ceremony, I walked around the booths and looked at the crafts and clothing for sale. 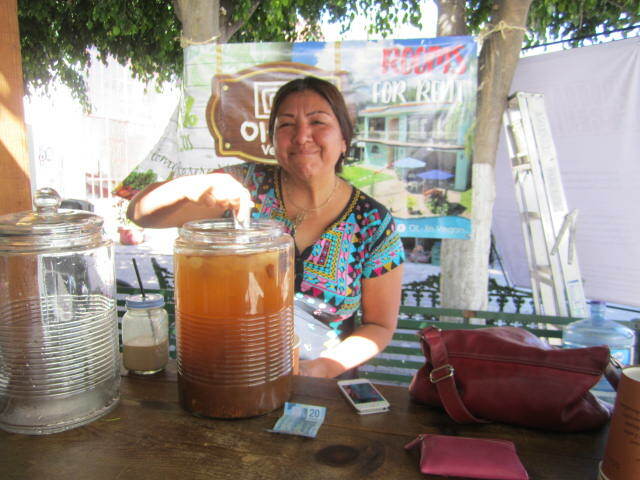 I was thirsty so I bought a glass of Tamarand juice from the woman in the above photo. She was wearing a beautiful embroidered dress and handmade necklace. She had a welcoming smile. 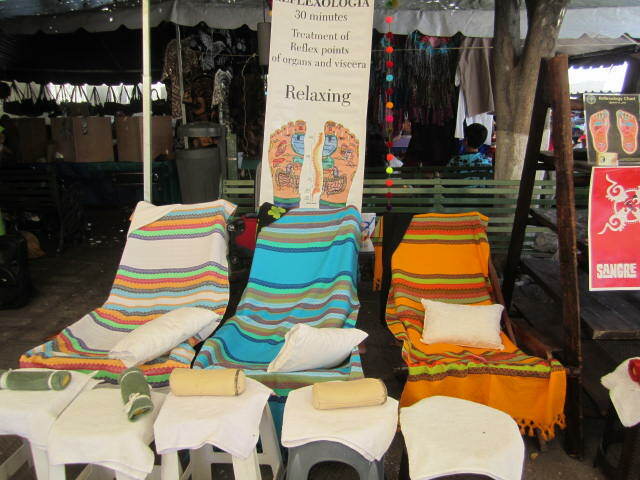 The plaza was lined on all sides with booths. 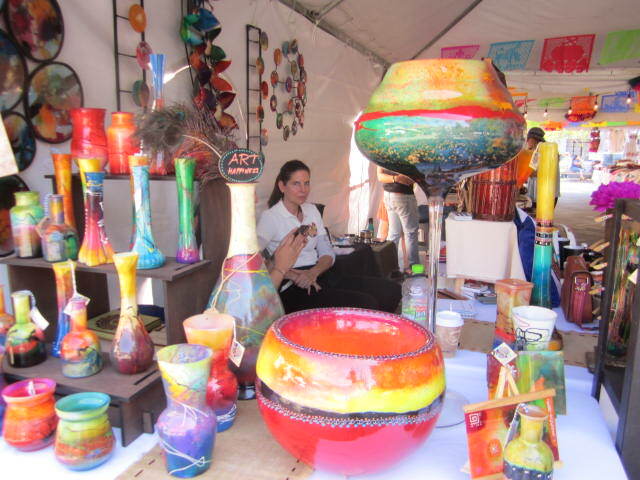 Both expats and Mexicans had things for sale, or food and drink and even special spices. I liked the carved drums. The big ones were used in the performance later in the evening on the stage. I didn’t take photos of it because my camera doesn’t work after dark. It was a hot afternoon. 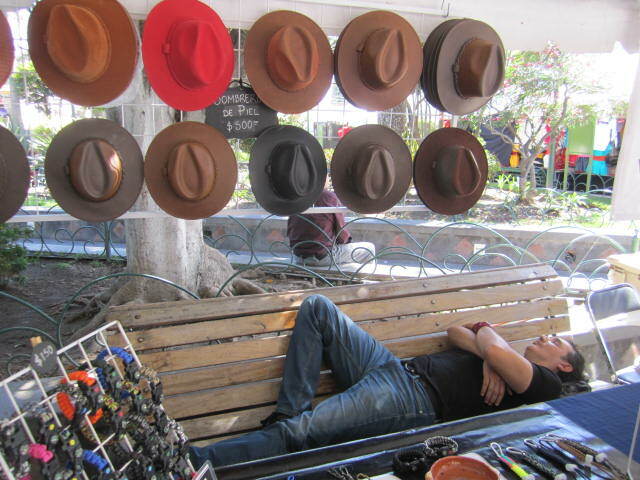 The seller was taking a little siesta. Not many customers had arrived yet. 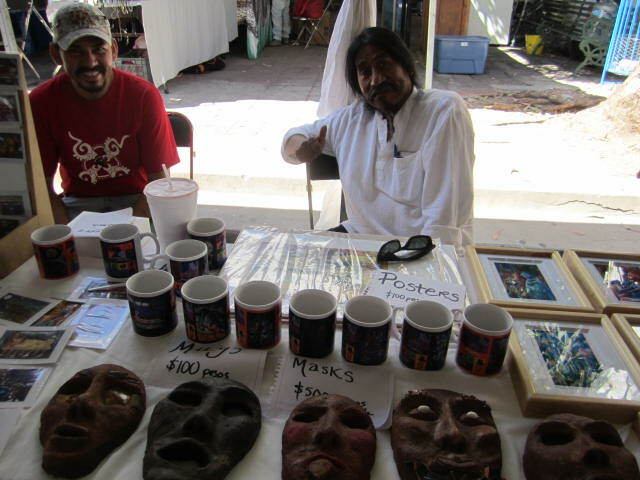 These two men in the above photo were selling coffee mugs and interesting clay masks. They were very friendly. 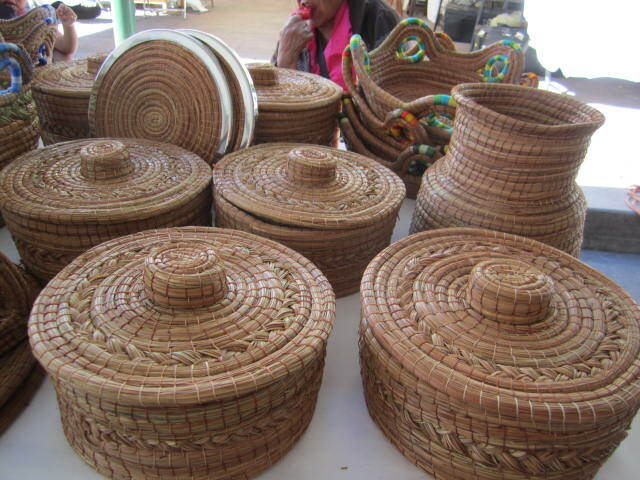 I liked the woven baskets in the above photo. 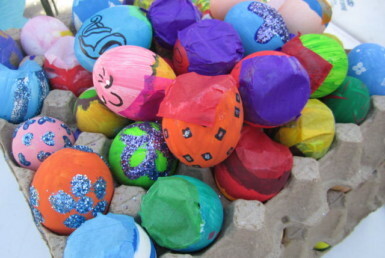 So many of the crafts are extremely labor intensive. 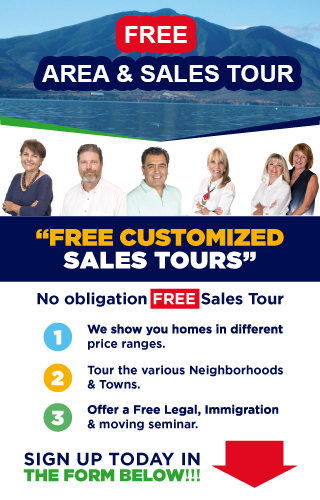 Makes their pay just a few pesos an hour. Again, I stress, be generous if you can afford it when you buy their crafts. I loved all the bright colors in the glassware in the above photo. Wish I could have bought a piece but I have a cat. She loves to walk around and knock things down. It wouldn’t last long in my house. Check out the expression on the face of the seller behind the glassware. Expectantly hoping I will buy something. Sorry, I could just take a photo. 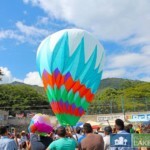 All these photos were taken during one afternoon at the festival but it went on for three days, in different locations. Inside the cultural center, there were painting exhibits and workshops. 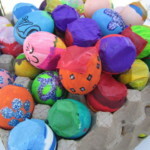 Painting workshops, Introduction to story telling, Use of Jewelery in rituals, a clay workshop and a paper mache folk art workshop. 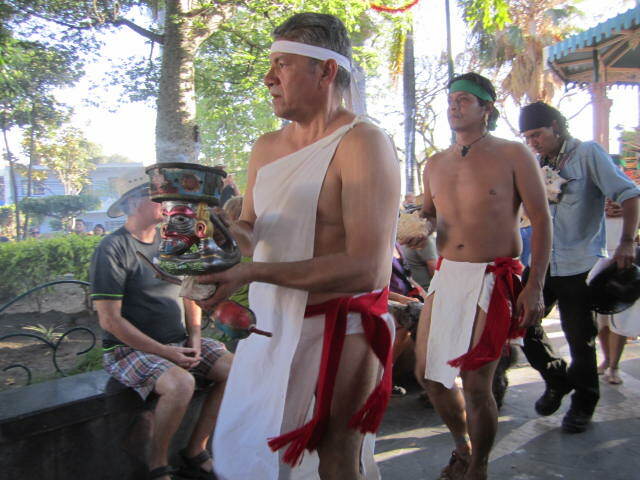 On the malecon there were dances and singing performances and nearby there was the sweat lodge, the Temazcal. 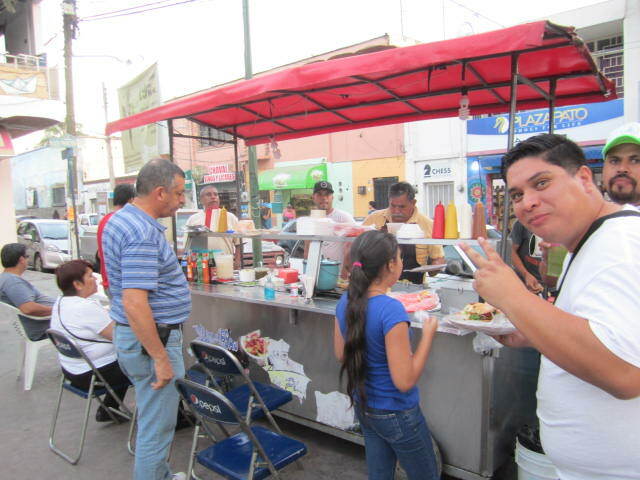 The friendly man in the above photo was selling pulque. It is a drink made out of agave juice and is slightly alcoholic.Tastes very good. 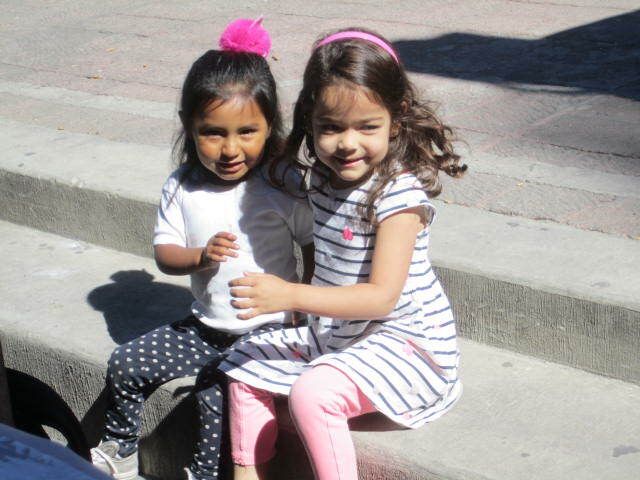 I always enjoy watching children making friends or old friends meeting up. That is one of the great things about free events. And everything was free this three day weekend. There were performances every day of the event. 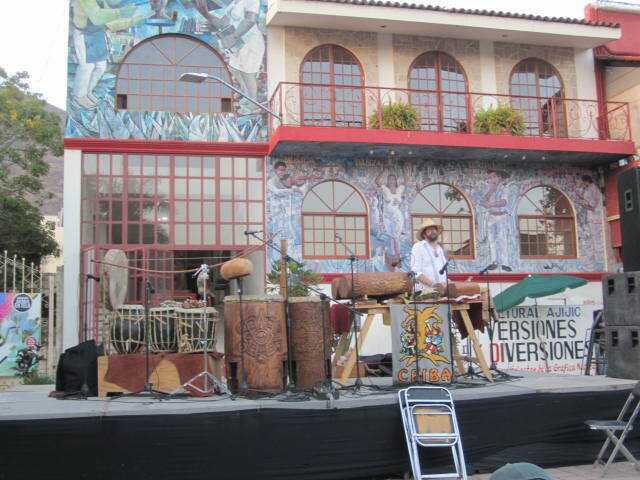 Friday there was PreHispanic music and folk music from Veracruz. 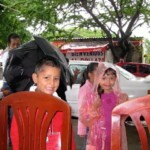 Saturday a chidren’s prehispanic music and singing group. 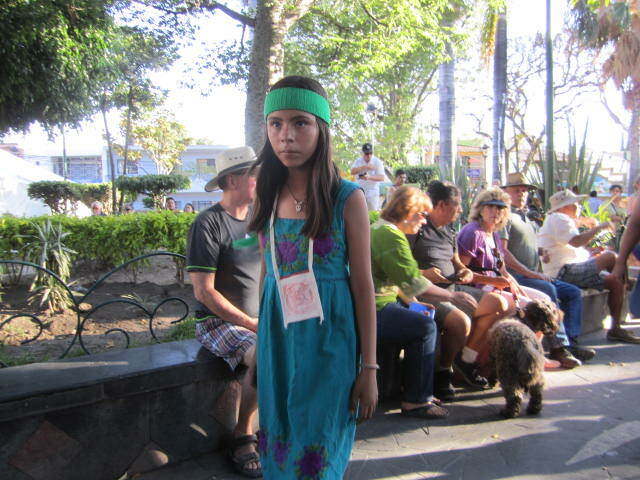 Maya dances from Chiapas and at the end, reggae and hop hop performance. I was tempted to stop and have a refloxogy treatment but there was too much to see and experience to stop for that long. Above is a photo of a man preparing for the evening performance of drumming. 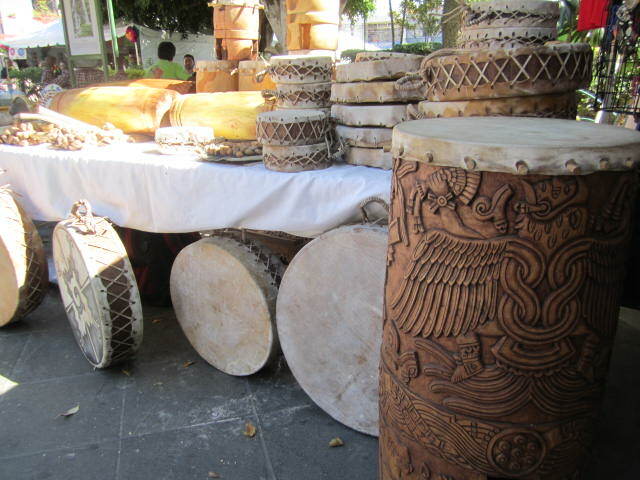 You can see the large, carved drums like the ones for sale in a previous photo. 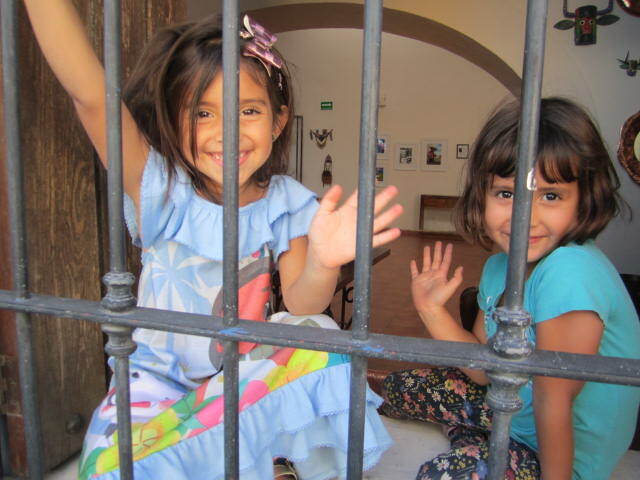 These two young girls were not in jail. They were just sitting behind a window with bars on it. I was walking home from the festival when I spotted them. They waved goodbye to me. 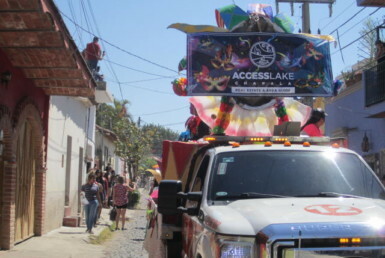 So I, too, wave goodbye to you and wish you happy times here in Ajijic and at the interesting festivals here.